Much has been written this week about the announcement from Steve Ballmer that he will resign from Microsoft within a year. Microsoft shares bounced upward on the news, giving an indication of investor sentiment, which might have been expected to drive the stock down. Ballmer, a flamboyant extrovert has exasperated many observers, as the exact opposite of Bill Gates. Some bloggers have commented with praise on his 13 years as President of Microsoft. But no less than Walt Mossberg of the Wall Street Journal, who also writes for All Things D, quietly tweeted an endorsement of the blog post below by Lauren Goode at “All Things D.” Goode chronicles the major product and strategic events over Ballmer’s helmsmanship of Microsoft. Perhaps the most glaring blunder has to be also the most recent: Windows 8. Even the most casual observer probably senses that Microsoft lost its way as the PC business began to contract, and failed to make new strategic moves quickly enough. Was the corporate culture at Microsoft resistant to major structural change? Was Ballmer himself too much of an old PC guy to get it? We will begin to learn the facts over the next few months and years, as the story unfolds. Larger-than-life CEO Steve Ballmer will be remembered for a lot of things during his 13-year tenure at Microsoft, but what about the actual products he oversaw? Overall, it is a very mixed bag, with Microsoft late on every major game-changer of Ballmer’s time in office, while rivals like Apple and Google surged ahead. That includes in MP3 players, multi-touch smartphones, multi-touch tablets, search, smart assistants and wireless beaming of video. Windows 2000: Microsoft celebrates its 25th anniversary and releases the Windows 2000 operating system the same year Ballmer is promoted to CEO. Microsoft continues to upgrade and support Windows 2000 until July of 2010, during which time multiple vulnerabilities in the system were exposed. Pocket PC 2000: Microsoft announced the Pocket PC 2000, the company’s first step in the personal digital assistant market. Two years later, the Pocket PC 2002 is released. Some of these Pocket PCs are sold as “phone editions,” meaning they can make cellular calls. 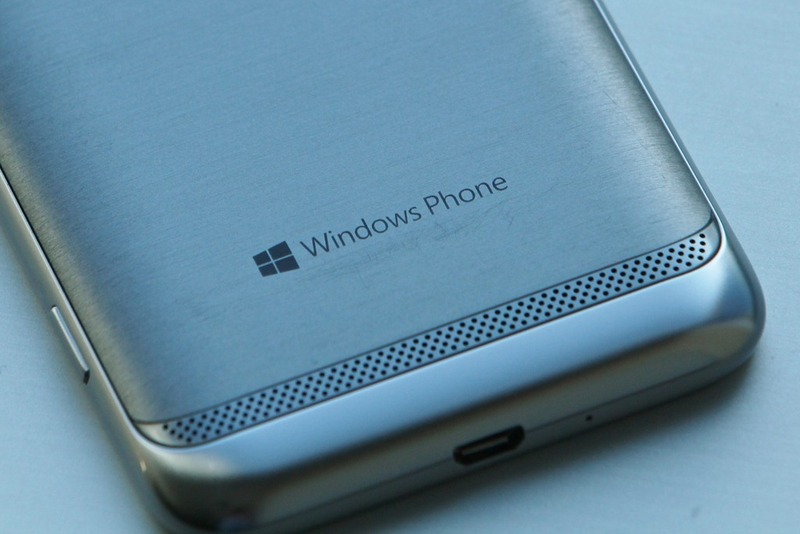 Five years later, Microsoft phases out the Pocket PC and Smartphone brands in favor of the more overarching Windows Mobile brand. Windows XP: Touted as the “biggest release since Windows 95,” Microsoft releases the Windows XP operating system in October 2001 with variations of the system for both home and business users. “It features login screens for home and corporate systems alike — something many Windows 95/98 users have never seen,” CNET wrote at the time. About 17 million copies were sold in its first two months. Xbox: Microsoft jumps into the videogame console market with the release of the Xbox in 2001, one of company’s most successful consumer products to date. SPOT watch: SPOT watches —or “smart personal object technology” — hit the market in 2004, made by Fossil, Suunto and other watchmakers and developed by Microsoft. SPOT watches stick around until 2008, until Microsoft threw in the towel on the niche product. Zune: Microsoft launches its iPod competitor, the Zune, in 2006. And although Microsoft will go on to release several more models,including the Zune HD, the product line is discontinued in October 2011. Its Zune Marketplace is also being phased out, to be replaced by Xbox Music and Xbox Video. Bing: Replacing Live search, Microsoft’s new search engine, Bing, is unveiled atD7 and released in June of 2009. “Search and advertising, we are a small share … It’s all about Google. 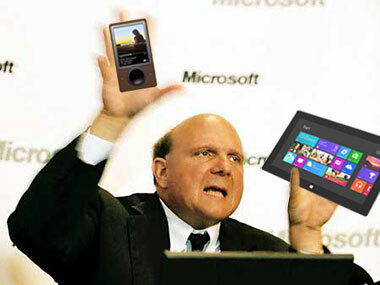 They have share, we don’t have share,” said Ballmer. It’s still all about Google. According to a recent report by comScore, the Mountain View, Calif.-based search giant grabbed 66.7 percent of the marketshare, while Bing only grabbed 17.9 percent. Retail stores: Microsoft announces its plans to open up a chain of Microsoft retail stores in 2009. In October of that year, it opens the first one in Scottsdale, Ariz. By 2012, the company has nearly two dozen stores across the U.S. and, in 2013, Microsoft partners with Best Buy to create Windows Stores inside more than 600 Best Buy locations in North America. So far, the Microsoft stores have not caught on as Apple stores have. Kin: Remember the Kin smartphone in 2010? Yeah, we didn’t think so. Windows Phone OS: Later that year, in an attempt to catch up with Apple, Google and RIM in the fast-growing smartphone market, Microsoft revamps its aging flagship mobile operating system, Windows Mobile, and replaces it with the new Windows Phone OS. Kinect: “Project Natal” is finally revealed in 2010: Microsoftannounces the Kinect, its motion-sensor gaming device that is supposed to breathe new life into the aging Xbox. 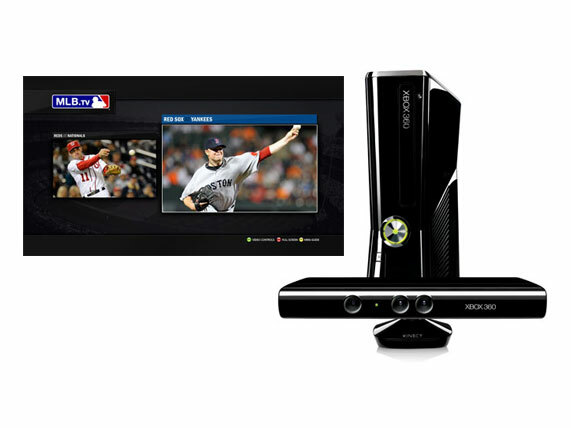 At the D: Dive Into Media conference in February 2013, Microsoft execsreveal that 76 million Xbox consoles and 24 million Kinectshave sold to date. Microsoft consistently beats out the Sony PlayStation and Nintendo Wii as the top-selling console, even as the videogame industry stumbles. Windows 8: On October 26, 2012, Microsoft launches the Windows 8 operating system and the Microsoft Surface tablet. The response to both is tepid. Hardware makers call out Windows 8 as confusing to consumers. Within months Microsoft has to assure users that it is making fixes to the OS. And, in July 2013, it is revealed that Microsoft has only made $853 million in revenue on Surface tablets between the October 2012 launch and the close of the fiscal year. Xbox One: Gamers and “regular” consumers eagerly await the launch of the Xbox One, the company’s $499, next-gen gaming console, due out this holiday season, as well as“Project Spark,” a build-your-own-game app for Microsoft platforms. But, even before its debut, there is a load of controversy about a range of issues that tarnish the announcement. Better Late Than Never? Ballmer Product Pipeline Shows a Very Mixed Record for Microsoft.. This is where scenario planning can be so helpful. It forces you to think about possible futures and the impact they may have on your present business. You are not trying to second-guess what the exact future will be – that’s a fool’s game – but you are considering what could unfold, what may indicate it is starting to happen and how you can capitalize on it. Had Gates really led such thinking, Microsoft might be in a very different position today. Ballmer had 13 full years leading Microsoft, with little or no interference from Gates… Ballmer is bowing out now only to avoid the inevitable. A competent CEO would have had Andy Grove’s paranoia, and sensed the inflection point…Ballmer may well have been steeped in the Gates PC era which insulated him from reality and to acting aggressively, but even the Board failed to act. The first rumblings of Board and Microsoft shareholder dissatisfaction with Ballmer came only recently. Too late. Another undercurrent is from those like myself who vividly and personally experienced Microsoft’s arrogance in the late 1990’s, We have a bittersweet sense of poetic justice in what is occurring now.